Rashidji shares the stories of his past when a gesture or word of appreciation was being valued more than money, when the ideas springing out from dialogues mattered more than the amount of ‘production output’. He speaks with much consideration about his learning at Anokhi, his greatest inspiration and assures that there will always be demand for good work. Growing up seeing his father perform the craft everyday at home Abdul Rashid instinctively desired to learn block making at an early age. Making and selling wooden blocks in the towns of Sanganer and Bagru had been his forefathers’ occupation for many generations. Being an ancestral practice Abdul also joined in and started working with his father in his salad years. Nevertheless for his part, he had his share of tough times quite early in his life. In the sixties and seventies things couldn’t be worse for the block printing industry of Jaipur. The slump in the demand for the block printed textiles in the local market was fuelled with the increase in adoption of mill made fabric by the people. Moreover block printed textiles were for sale within the state of Rajasthan only and tourism and export of handicrafts were yet to offer its merits to the regional people. With meager earnings in hand it was not possible for the local printers and traders to search and reach for faraway market in distant lands. Printers, block carvers and traders had either altered their profession for economic good while others continued to remain with it. Abdul and his family was one such who continued their legacy of block making. At sixty-six, he continues his daily custom of practicing block making though only for a couple of hours. As for the rest of the day he would instruct the personnel, meet the people who come to visit him and would go for a walk routinely in the morning. 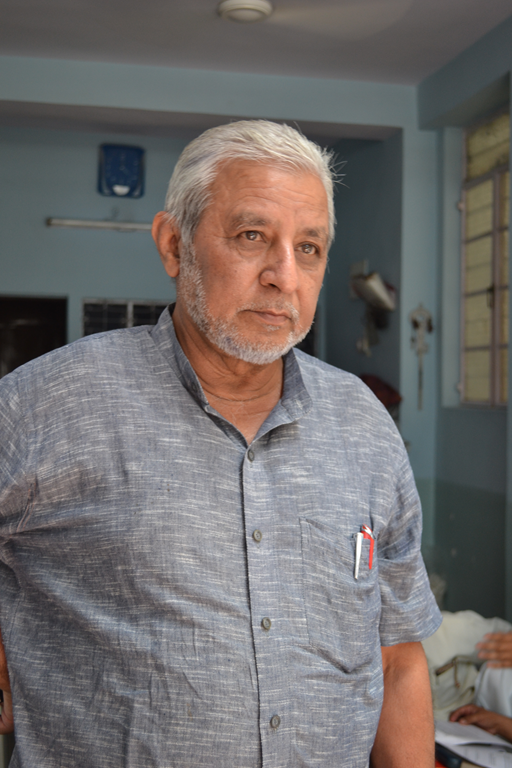 Clad in grey khadi shirt and warm gesture, Rashidji speaks with much consideration about his learning, inspiration and the changing work ethics of the artisans. The year 1996 was perhaps the most consequential time of his life when he decisively left Anokhi, the pioneer in block printing and formed his concern Mughal Garden. 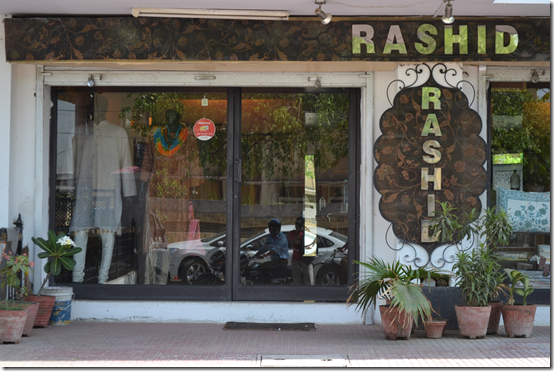 Under the concern, he has his own retail store ‘Rashid’ in Jaipur. Presently, United States is his biggest export market, others being Japan and Italy. Rashidji’s yearning for recognition as a block maker led him to start his own entrepreneurial venture. ‘Block maker does the real work but his name does not appear anywhere. The printer who prints is known but no one would ask who made the block. Hence, I wished to start my own work,’ he said emotively. Aptly put Rashidji graduated from Anokhi, where he had spent twenty-four years ‘educating’ himself about contemporary designs, color schemes and many more priceless things. 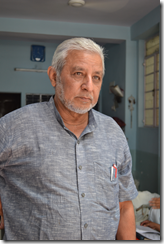 It was in 1971 when Rashidji joined Anokhi and since then he stayed; cherishing the fruitful discussions, design led learning and the working environment prevalent in the institution. ‘Though designing had always been my parental work what was required to learn was how to combine the traditional with the ‘contemporary’. What Anokhi did was they took the prints from traditional Ghaghra (long skirt) and introduced freshness to it. All those who worked at Anokhi learnt from the designers who visited every now and then. We watched them; they shared their experiences with us. This is how we all learnt,’ he recalled. Rashidji’s words were embraced with gratitude for Faith Singh, the founder of Anokhi who always enthused the team to do good quality work and cultivated strong working codes at the enterprise. ‘The good thing that Faith Singh did was to inspire people to do good work and made connection with well-known people in the field.’ He asserts that Anokhi had been very supportive when he had started his new venture. Anokhi had revived the block printing industry of Jaipur and nearby towns of Sanganer and Bagru in the seventies. They made block printing popular in the West and consequently in India as well. Presently it employs thousands of artisans, designers and other employees in Jaipur. He also attributed the success of Anokhi to those who worked for them, for they always thought about work and coveted for appreciation above everything else. It was the good team of artisans who walked the dreaded but the golden path of sincerity and commitment that led the vision of the institution forward. He prided himself as he shared the memories of his days at Anokhi, but deplored the conduct of today’s designers and artisans. ‘It was a golden period back then. Those who worked for Anokhi never thought about money but work. We used to spend hours on discussion and never cared for it. If spent so let it be. But today if you talk to designers they say we’ve wasted their two hours and therefore they charge for it!’ He also found a widespread resistance among artisans who are willing to do the work with diligence and skillfulness. More people wish to move into screen-printing as they disparage the craft of block printing. ‘What mattered in traditional printing were the skill and precision with which they did it. Now no one wants to put effort into it. Everyone wants to produce more in less time. It’s great trouble to find artisans who can do good work,’ he said anxiously. This is perhaps because artisans do not earn enough out of this. Their average earning is somewhere around 200-300 rupees per day which is a little more than what a laborer would earn in India. Moreover they are remunerated on piece rate basis and hence the hurry to produce more in less time. Another reason why artisans do not want their children to learn the craft is because those who practice have got low status in the society. In India practicing certain crafts is considered lowly and this mindset stems from the association of craft with caste in the Indian society. While in the West and now among urban Indians too block printed piece of garment is much treasured. 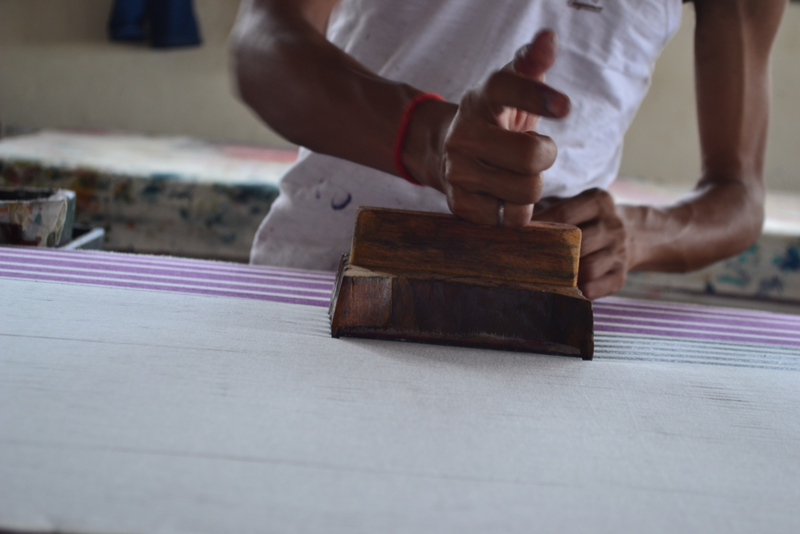 They are all cognizant of the fact that block printing requires greater human effort and time, finesse and above all it leaves a personal mark of the artisan who prints it. This indeed is the reason why people in the West and those who know the craft well are in great admiration of it. Unlike machines human hand cannot be perfect and this imperfection of the human hand is a thing of reverence. But this acknowledgement does not come easy for those who are uninformed about the craft, culture and the region from where it comes. Absorbed in perfection, Japan is the country which might have an aversion towards human errors. 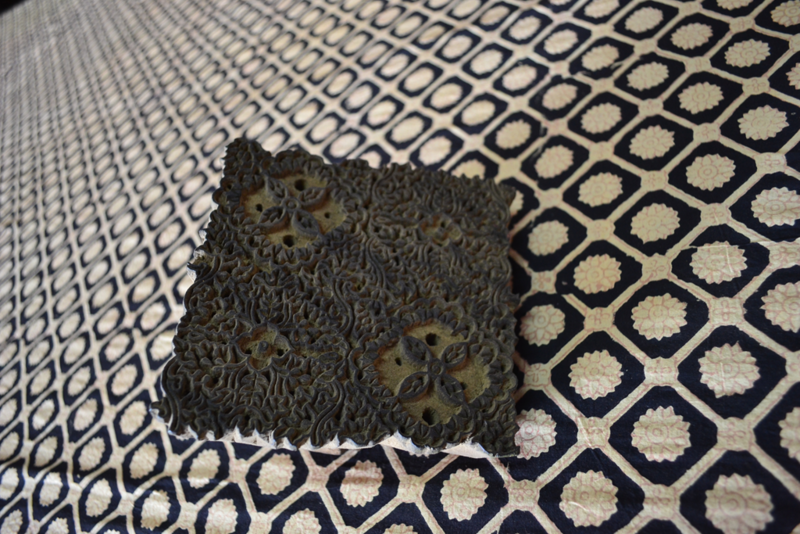 Designer Gitto Patni, the owner of block printing firm says, ‘We had Japanese buyers who said there are spots on the fabric. They were of needle size. We told them that these are hand-printed and such minor errors are part of it. Then they agreed. So we had to educate them about hand printing.’ She further shares her experiences where one of the buyers thought the fabric was screen-printed as the printing was done so finely. The other buyer agreed to buy fabric that was terribly printed because she wanted it that way. As artisans strive for perfection, it is the human error, which is prized. So what can you call good or bad? What is good design, in this case? Upon asked whether block printing would flourish in the future or not, Rashidji is quick to convince that there would always be demand for good work. ‘People generally believe that in India block printing is looked down upon. But this is now a thing of past. I would say there is a greater market in India than in the West. 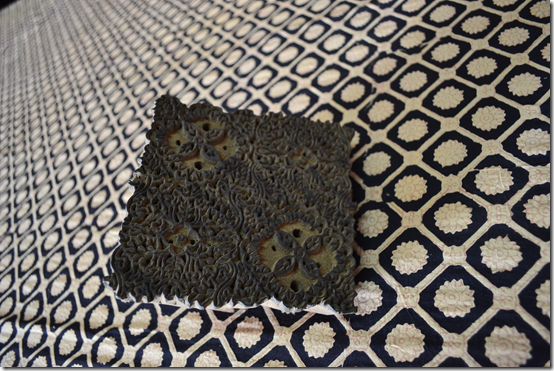 People are quick to point out which is block printed and which one is the screen-printed. They are shrewd enough to make out the difference,’ he said smilingly. Ishita Parekh has graduated in Master’s in Arts Journalism from CEPT (Center for Environmental Planning and Technology) University, Ahmedabad. She is interested in writing stories on artisans and crafts’ legacies. I am one of those Who simply loves block printed fabrics and always enjoying wearing them. When Rashidji says that people remember the printer rather than the block maker, I am reminded of the cooks in the restaurants who go unrecognized and it is the waiters who receive the tips. Really unfair. Sometimes I make it a point to see the cook in a restaurant or at least send my compliments. Yes, certainly it is unfair when somebody else gets the credit when all the hard work is done by the real artisans. May Block Printing flourish and Rashidji and other Block Makers get the recognition they deserve. I have 4 old woodblocks, any idea what they are Wirth and where I Can sell Them?